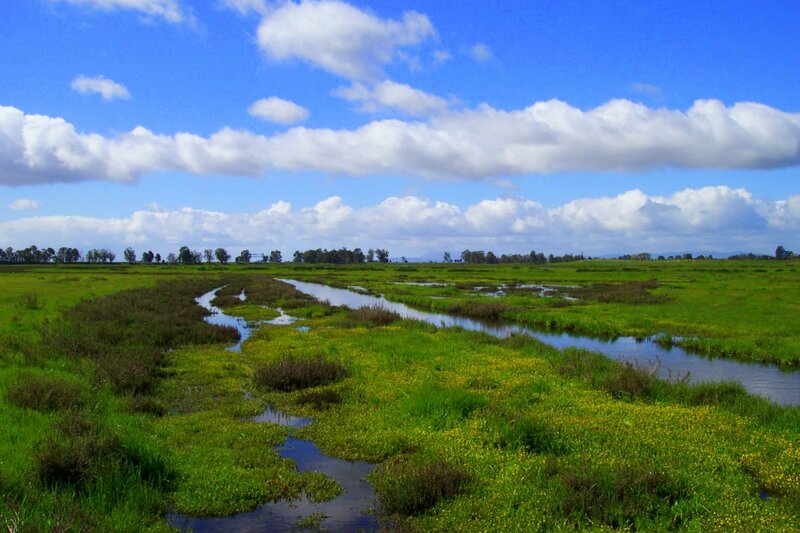 Freshwater wetlands are generally small in size and distributed throughout the County in swales and low-lying areas, and around ponds and reservoirs in most of the major valleys. Their combined acreage is very small, encompassing only about 553 acres (0.1% of total land area of the County). Vernal pools are a unique wetland type that occurs in the County as well. 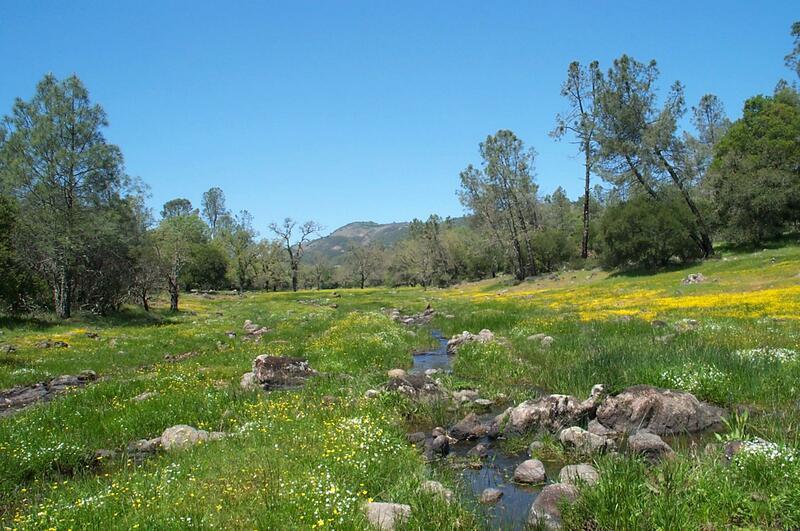 Vernal pools within the County are principally located in the Eastern Mountains and the Napa Valley floor. 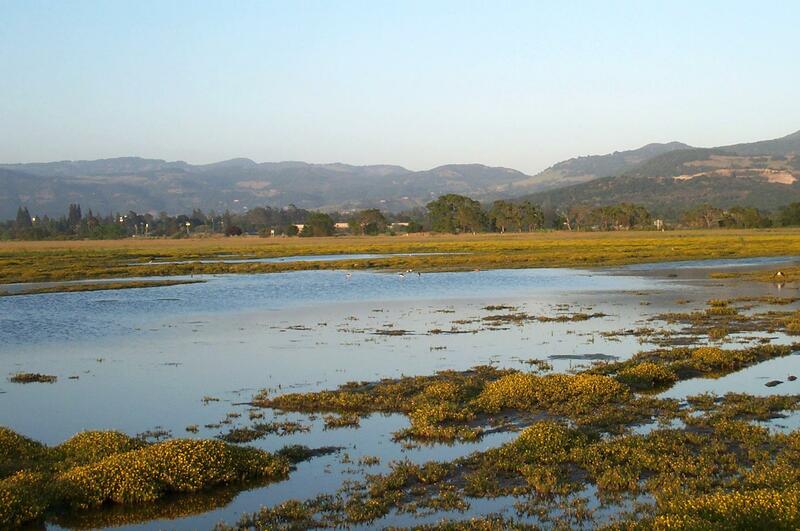 Saline wetlands, or salt marsh, occur in the south of the County and cover an extensive area (more than 3,000 acres) at the mouth of the Napa River. Freshwater wetlands are characterized by monocots—grasses and grass-like plants in the sedge and rush families—that are tolerant of saturated soils or long-term submergence. 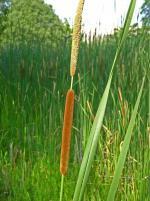 Wetlands that hold water for most or all of the year are characterized by dense stands of cattail (Typha spp. 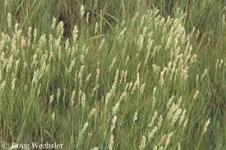 ), bulrush and tule (Scirpus spp). Wetlands with seasonal water supply support sedges (Carex spp.) and rushes (Juncus phaeocephalus, J. effuses, J. Balticus, and others). 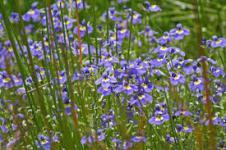 Vernal pools support a distinctive community of plants adapted to the annual cycle of flooding and desiccation; some plant species in vernal pools are only found in these habitats and are highly restricted in California. 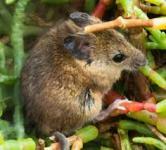 Typical native plants species include several species of downingias (Downingia spp. ), goldfields (Lasthenia spp. ), and clovers. Salt marsh in the County is dominated by salt grass (Distichlis spicata) and pickleweed. These species are generally dominant in a patchy mosaic. 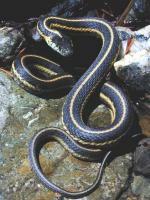 Wildlife species primarily associated with freshwater wetlands include aquatic garter snake (Thamnophis atratus), western pond turtle (Actinemys marmorata), the non-native bullfrog (Rana catesbeiana), and California newt (Taricha torosa). 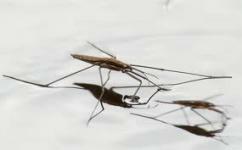 Common aquatic invertebrates include dragonflies, water striders (Gerris remigis) and snails provide an important food source for other animals. 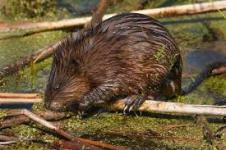 Mammals visiting these wetland areas include the common muskrat (Ondatra zibethicus), raccoon, and deer (Odocoileus hemionus). Vernal pools provide habitat for animals that can tolerate the extreme range of conditions that characterize these ecosystems and are able to complete their life cycles in the short period during which pools are wet; these include crustaceans such as fairy shrimp (Branchinecta spp.) and clam shrimp (Cyzicus californicus). 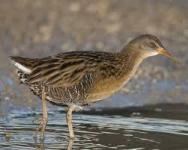 Several species are highly adapted to salt marsh habitats and are not found elsewhere in the County, including California black rail, California clapper rail (Rallus longirostris), and salt marsh harvest mouse. Some widespread aquatic species include the great egret (Ardea alba), great blue heron (Ardea herodias) and northern harrier. Fish species using salt marshes are grouped into residents (rainwater killfish [Lucania parva]), partial residents (inland silverside [Menida beryllina]), tidal vistors (jacksmelt [Atherinopsis californiensis] and flounders), and seasonal visitors who either use the tidal marsh as spawning or nursery areas (sticklebacks) or as seasonal refuges from predators (Chinook salmon [Oncorhynchus tshawytschal]). Provide opportunities for recreation including, but not limited to, birdwatching and hunting. Use the map below to explore the various biotic communities throughout Napa County.